BEIJING -- China's new multi-role fighter jet J-10C began combat duty Monday, the People's Liberation Army (PLA) air force announced. China's new J-10C fighter jets have been put into service, which marks an improvement in the combat capabilities and defense of the Air Force of the People's Liberation Army (PLA), the Air Force announced in a statement on Monday. The J-10C is a third-generation home-made fighter with multiple functions and is equipped with an avionics system. It is also equipped with multiple advanced armament and be effective in land or sea combat, said the statement released on the official Weibo account of the PLA Air Force. The fighter jet was first revealed to the public at the military parade marking the 90th founding anniversary of the PLA in July 2017 and has attracted wide attention. Taiwan's CNA reported in November 2016 that the J-10C is more streamlined than the J-10B to reduce drag. Moreover, Hong Kong military analyst Leung Kwok-leung says that the J-10C has stealth capabilities entirely different from existing stealth warplanes. 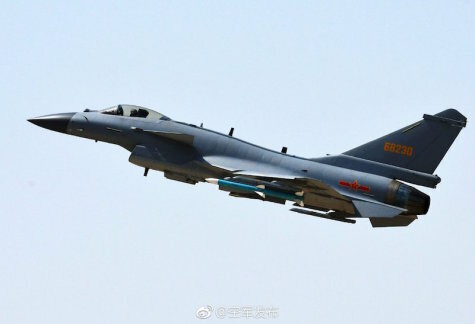 The report says that because the J-10C absorbs radar waves into its fuselage, thus weakening its signals, so that the radar waves will not bounce back to the radar. This is a brand-new stealth technology. The Air Force said on Monday that J-10C fighters have been involved in actual combat training and played great role in two combat maneuvers - "Red Sword 2016" and "Red Sword 2017" -- which lays the foundation for the combat capability of the PLA Air Force. The PLA Air Force has quickly developed and has become a main influence in controlling disputes and crises, stopping a war and winning any battle, according to the PLA Air Force. Shen Jinke, PLA Air Force spokesperson, was quoted in the statement as saying that China's opening-up and reform cannot succeed without a peaceful environment. The Air Force has made all efforts to train soldiers and prepare for actual battle, and to enhance their defense capabilities and strategic projection capability to protect China's airspace and national interests, Shen said.